Your membership to Coaching Products With PLR gives you full private label rights to a brand new never before seen coaching workshop each and every month! All workshops are personally created by Liz Tomey. 1. Product – The actual workshop (workshops consist of anywhere from 5-100 video!) and the source code to all the videos within the workshop. 2. Extras – Resource documents, mind maps, checklists, and any other teaching tutorials along with the source documents so you can edit them how you want. 3. Marketing Systems – Complete sales system including sales letter, customer capture page, and download page. Liz has also included the source files for these so you can edit them how you want. 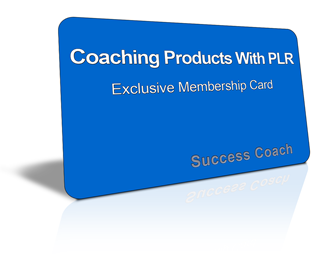 Here Are 10 Different Ways You Can Make A Killing With Your Coaching Products With PLR Membership! Take a package setup it up as is, implement an affiliate program, and let affiliates sell the product for you from the package. Set a package up on it’s own domain name and sell it at as a ready to go business on a site like Flippa.com. Use the content in a package to create a niche blog and monetize it with affiliate offers or Adsense ads. Setup the squeeze page from a package, and build a list of people you can promote offers to as an affiliate. Use bits and pieces of a package to create a resell rights products that you can sell to others. Translate the content from a package into other languages and sell to people in other countries. Use the content from a package to create web 2.0 sites like Squidoo lenses, and Hub Pages, and use the built in monetization of those sites. Use the content from a package to post to sites to get backlinks. Turn the entire product in a package into a physical product and sell it! Create a membership site, and add products from the packages you get to your site each month as training for your members. 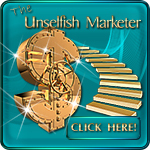 Forget creating products, writing sales letters, and all that other hard work… Now you can have your own products that you can make money with in hundreds of different ways! Each month you’ll get a brand new product with full private label rights, and all the goodies to go with it! This offer simply couldn’t get any better! There are only so many people Liz can let into this membership… Once it hits 500 members, she WILL close the doors and not allow any more member’s in! If you’ve been looking for the perfect product to create your own membership sites with, this is a real no-brainer.